Texas GOP Gov. Rick Perry accused President Barack Obama on Wednesday of punishing Texas and being hell-bent on turning the United States into a socialist country. Speaking at a luncheon for a Midland County Republican Women’s group, Perry said that this is an administration hell-bent toward taking American towards a socialist country. And we all don’t need to be afraid to say that because that’s what it is. Perry praised the tea party movement to the Republican activists in attendance, crediting the grassroots groups with discouraging some Democrats in Washington from pushing for a public option in the health care bill. 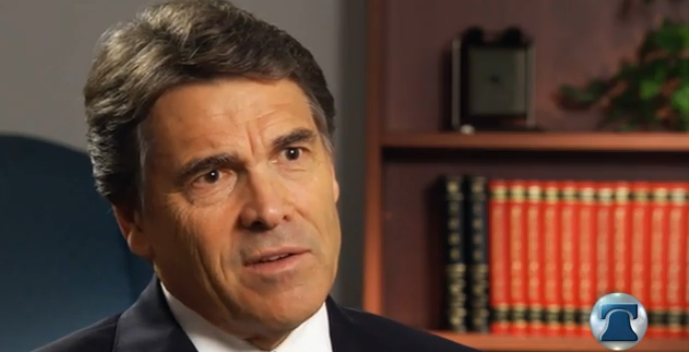 If you all think those tea parties didn’t work, then let me tell you something, Perry said. When they all came home in August for those town hall meetings, they got an earful. Then they went back to Washington, D.C. and the Senate voted that public option down in committee with a majority of Democrats in the Senate. Perry also accused the Obama administration of intentionally dumping illegal immigrants from other western states in Texas, recalling a conversation he had with local officials notifying him that illegal aliens that were caught in Nogales, Arizona were being dropped off by federal authorities in Presidio, Texas. Friday a week ago, I got not a phone call from Washington, not a letter from Washington and as a matter of fact, I don’t think any member of our congressional delegation was even notified. The first time we were contacted was by the superintendent of the school and the county judge of Presidio County, Perry said. They said, do you all know whats fixing to happen? I said, well, no. Whats going on? They said the government has just called us and said for us to get ready for an influx of illegal aliens who were captured illegally crossing the border. Its called the alien transfer-and-exit program, Perry told the crowd, trucking them from Nogales, past El Paso down to our western border in Presidio. The Texas governor said he sees the action as punishing this state and urged the assembled Republicans to stand up to Washington. I say its time to make tea parties twice as big as what they were, Perry declared. I think its time for us to stand up and say to Washington, D.C. that we are no longer going to accept that kind of stuff sitting down and being quiet.